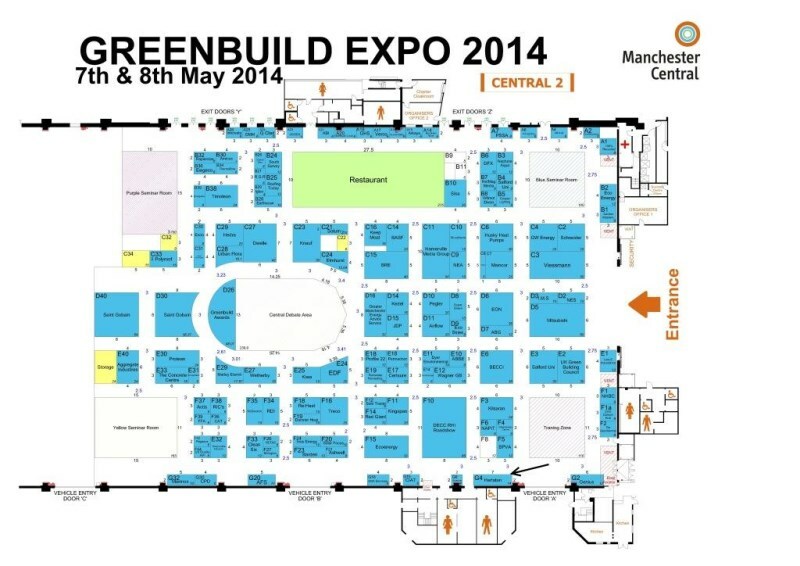 HERTALAN® will be exhibiting at Greenbuild Expo 2014 on 7-8 May at Manchester Central. Opening from 09:30-16:00 on both days and completely free to attend. This year, Greenbuild Expo will be bigger than ever and will have even more to offer its visitors. With an extensive conference programme featuring over 100 seminars – all free – Greenbuild Expo 2014 will provide comprehensive coverage for all sectors of the built environment. The 2014 event will expand the commercial building success from 2013 with our sustainable cities area covering options for non-domestic specifiers, contractors and building owners and helping businesses, hotels, leisure facilities, hospitals, education and retail building managers, facilities and energy managers to save money and reduce CO2 emissions. So make sure you can come along to the Greenbuild Expo 2014, visit our HERTALAN® stand, and take full advantage of all the information on offer. Visiting Greenbuild will give you the chance to increase your skills and understanding of sustainable buildings, find out what works and what doesn’t for your project, product details and more, all in one place.